Myriad romantic interpretations have transformed Liliana Maresca into a myth: the housewife who abandons the comfort of home out of devotion to art, the beauty whom everyone fell for, the victim of an early and tragic death. This show, “Transmutaciones,” a coproduction with the Castagnino Museum of Rosario (where it was previously shown), was the first retrospective of Maresca’s work since the one that took place in 1994, the year she died of HIV at the age of forty-three. 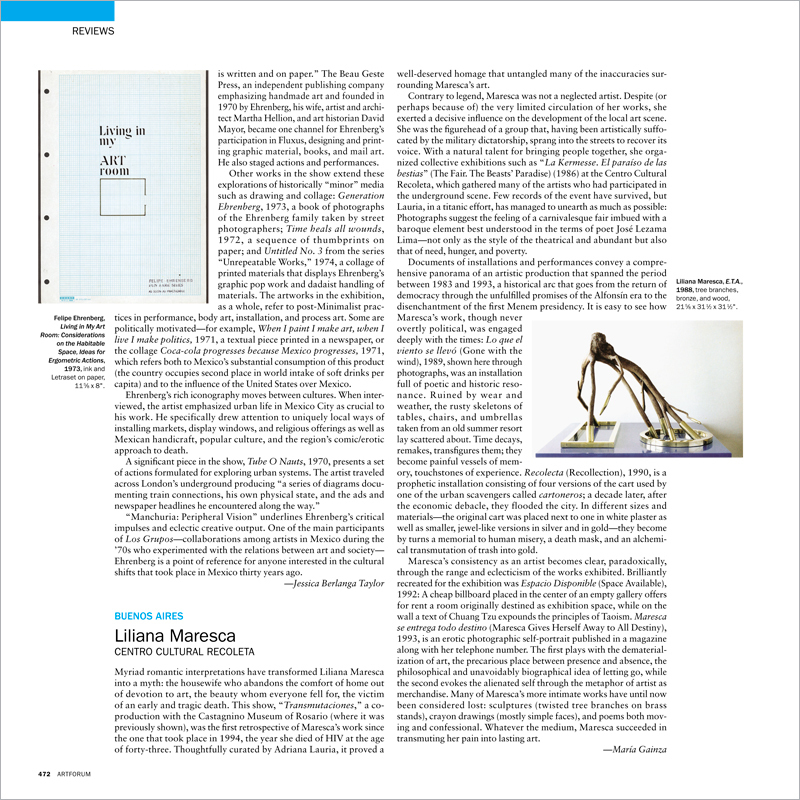 Thoughtfully curated by Adriana Lauria, it proved a well-deserved homage that untangled many of the inaccuracies surrounding Maresca’s art.